Planning on going to a top American festival this year? At the forefront of American music festivals is Coachella. Established in 1999, Coachella was founded by Paul Tollett and Rick Van Santen, following a Pearl Jam concert aimed in boycott of Ticketmaster venues - before the gig, no one knew that the unforgiving Colorado Desert could host a successful live show. The festival runs for two weekends and features a variety of genres including rock, pop, independent, hip-hop, and EDM with both upcoming and established artists and reunited groups. At Coachella the crowds are often as star-studded as the stage, as many Hollywood celebrities find their way to the event, dressing up in Woodstock-esque fashion and posting to their social media from the event. Like many of America’s other festivals, Coachella offers a campground for those who wish to stay for the entire weekend. The 2019 headliners of the event include Childish Gambino, Tame Impala, and Ariana Grande. Another one of America's most popular festivals is Bonnaroo Music Festival. Founded by Ashley Capps of AC Entertainment and produced by Superfly, Bonnaroo began with solely jam and folk-rock bands, but has continued to evolve into the multi-genre powerhouse that it is today. Bonnaroo is heavily influenced by rock concerts of the '60s and '70s and as an ode to that era still preaches an environmental philosophy at the festival. Located on a 650 acre ranch in Tennessee, the festival features a comedy tent, silent disco, cinema tent, and even a ferris wheel. The most-attended Bonnaroo festival was in 2014, with visitor numbers reaching an estimated 90,000+. 2019 Bonnaroo headliners include Phish, Childish Gambino, Post Malone, Odesza, The Lumineers, and Cardi B. Another household name for music festivals in the United States is Lollapalooza. Unlike other festivals founded by entrepreneurs and businessmen, Lollapalooza was founded in 1991 by lead singer Perry Ferrell of the band Jane’s Addiction, as a farewell tour for the band. The tour variation of Lollapalooza ran until 1997, being briefly revived in 2003 despite having its 2004 tour cancelled. The festival spans four days and is not focused on any specific genre, featuring everything from heavy metal to alternative. Lollapalooza has expanded due to its phenomenal success and now even features branches in Chile, Argentina, Brazil, and Berlin. Before expanding to the four-day set piece, the festival had hosted an attendance of 160,000 over a two or three-day span. 2019 Coachella headliners include Arctic Monkeys, The Weeknd, Bruno Mars and Jack White. Extraordinarily distinctive, SXSW is a festival founded in 1987 that continues to grow in size each year. SXSW is an extremely unique music festival with no limitations on genre, featuring 2,000+ performers over a 7-day period. SXSW is known to launch music careers into commercial stardom as it features such a wide array of up-and-coming talents. The festival is not limited to just music, taking in film, interactive media, and conference festivals over the course of its 10-day duration. 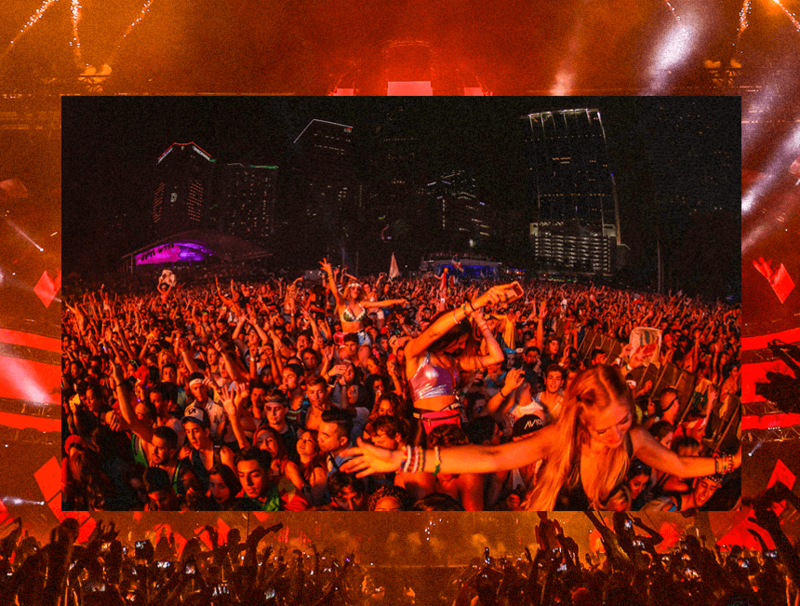 The city of Austin is greatly consumed by the festival as it draws well over 100,000 people to it’s grounds. Something of an industry hub, SXSW is a great place to look for new talent for talent agencies, management firms and promoters. Electric Forest is a newer festival that has evolved from a previous event simply called Rothbury Music Festival. The Rothbury Music Festival was founded in 2008 with a focus on bringing in rock and jam bands. Electric Forest is completely different in it's composure, specifically targeting EDM fans. Electric Forest began in 2011 at Double JJ Ranch in Rothbury and is co-produced by Madison House Presents and Insomniac Events. It originally featured a two weekend set, but has downsized to only one for this year’s upcoming rendition. The festival had gained an audience of 45,000 in 2015 and picked up a nomination for Festival of the Year at the Electronic Music Awards. Lasting four days, Electric Forest will feature headliners Odezsa, Kygo, Bassnectar, and Zeds Dead in 2019. Rolling Loud Music Festival is the product of Tariq Cherif and Matt Zingler, two entrepreneurial hip-hop-heads who have founded the biggest hip-hop festival in the world. Having found success with locations in California and Australia, Rolling Loud plans to move into Japan and Europe in the near future. The festival is still young, having debuted in 2015 and swiftly grown to become a worldwide success. The show consists of three stages all graced by some of the most established acts in hip-hop alongside the hottest up-and-comers. This festival has even featured MN2S acts Juice WRLD and Lil Mosey. The event spans a 3-day period and has not announced its Miami line-up for 2019 yet, though it is expected to be spectacular as 2018's, celebrating the festival’s five-year anniversary. Looking to grow your own hit US festival line up? Check out the ever growing combined MN2S rosters.